Researchers are exploring a mysterious population of immune cells that live within tumors and can help the cancer grow and spread. Memorial Sloan Kettering researchers have uncovered the origins of a mysterious population of immune cells living within tumors and discovered how the tumors manipulate these cells to their own advantage. The possibility of harnessing a patient’s own immune system to attack tumors was first proposed more than 100 years ago but has only very recently become a reality. Striking clinical trial results have shown that drugs that unleash the immune system’s T cells can successfully treat several different types of cancer, including late-stage metastatic melanoma. This and other successes prompted Science magazine to name cancer immunotherapy the top Breakthrough of the Year in 2013. Now the push is on to discover novel immunotherapies that are even more effective. But the relationship between tumors and the immune system is complicated. 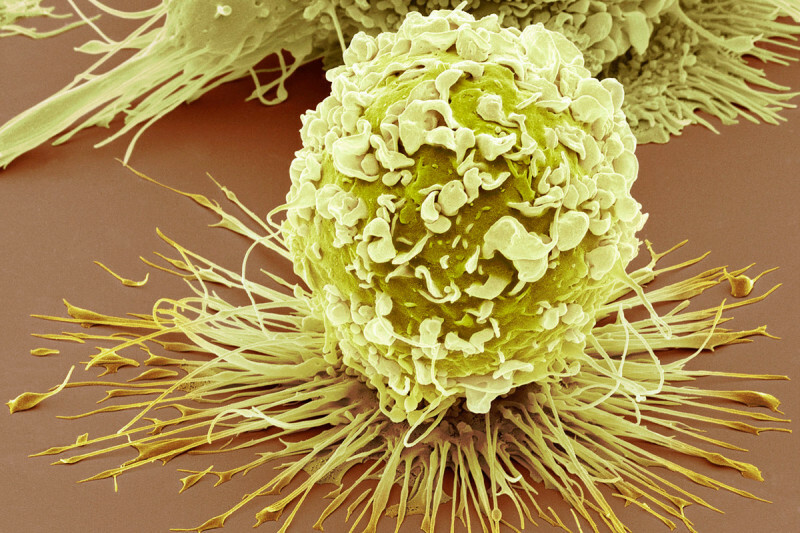 Many different types of immune cells are found within tumors. For example, some types of T cells have the potential to attack tumors, while other immune cell populations seem to help cancers grow. Immunologist Ming Li at Memorial Sloan Kettering is investigating how the immune system responds to tumors and how the different immune cells that colonize solid tumors interact to influence cancer’s growth and spread. In a new study published in Science, Dr. Li’s team zeroed in on immune cells called macrophages that are found scattered throughout solid tumors. In healthy tissues, macrophages are an essential first-line defense against infection, but tumor-associated macrophages (TAMs) appear to help cancers grow. “Although several clinical studies show that patients with higher numbers of tumor-associated macrophages have a poorer prognosis, we do not know where these cells come from, what exactly they might be doing to promote tumor progression, or how to stop them,” explains Dr. Li. Using a mouse model of breast cancer, his team explored the origins and molecular makeup of TAMs. They discovered that TAMs develop from white blood cells that migrate into tumors as they begin to grow and then proliferate there. The development of TAMs depended on the activation of a molecular signaling pathway called Notch. When the researchers knocked out a critical gene in this signaling pathway, the development of TAMs was inhibited, while the number of T cells within the tumors capable of killing cancer cells increased and tumor growth was suppressed. They propose that TAMs may aid tumor growth by turning off cancer-killing T cells that enter the tumor. The team is now testing whether these findings hold true for human TAMs. If so, immunotherapies that inhibit TAMs could be a powerful approach to unleash tumor-attacking T cells, particularly if used in combination with other T cell-directed immunotherapies. Because the molecular fingerprint of TAMs is so different from that of macrophages that live in healthy tissues, Dr. Li suspects these cells represent a new type of immune response that may be important in other diseases. Although macrophages that suppress T cells are bad news in cancer, in some situations they could be beneficial. For example, during chronic infections, excessive T cell activity can cause collateral damage to the body’s healthy tissues. Recruitment and proliferation of T cell–suppressing macrophages within tissues may have evolved as a way of protecting tissues from the immune system. As tumors grow, they may in turn evolve ways to recruit and co-opt these specialized macrophages in order to ward off tumor-attacking T cells. To test this theory, the group is now exploring whether TAM-like cells arise during infections and in other disease settings. Philip, thank you for reaching out. The trial descriptions list contact information is you would like to find out whether you may be eligible for a particular study. My friend has ovarian cancer for the past one and a half years. The first two medications have not been successful. Two new medications have now been introduced. The side effects are intense. She would like to know if she may be a candidate for your immunology program. We live in Las Vegas, Nevada. Please also advise if your immunology program is available in Nevada or California. Thank you for your consideration. Dear David, thanks so much for your question. Here is an immunotherapy clinical trial that your friend may be eligible for: http://www.mskcc.org/cancer-care/trial/13-198. For other clinical trials we offer testing new therapies to treat ovarian cancer, please see this list: http://www.mskcc.org/cancer-care/clinical-trials/clinical-trial?keys=&f…. Just so you know, MSK is based in New York, and the immunotherapy trial is being offered in New York City specifically. For trials closer to home, you can search http://www.cancer.gov/clinicaltrials. Thanks so much for reaching out to us, and please let us know if you need anything else. Connie, if your husband has not already done so, we recommend he meet with a medical oncologist, who will be able to tell him which drugs are most appropriate for his particular cancer. If you’d like to make an appointment to speak with someone at MSK, you can call 800-525-2225 or go to http://www.mskcc.org/cancer-care/appointment for more information. Thank you for your comment. My friend is diagnosed with lung cancer - squamous cell. Is the immunotherapy available for this type of cancer and if so How can she apply. Dear Irene, we are planning on testing immunotherapy in lung cancer patients in the near future. You can read more here: http://www.mskcc.org/blog/immunotherapy-shows-promise-treating-solid-tu…. There might be other new treatment options that are available now, and she can call us at 800-525-2225 to learn more. Thanks for reaching out to us! SHE HAS ADVANCED STATEG 4 META PANCREATIC CANCER , IS A 4 1/2 YEAR SURVVIOR. WHAT CAN YOU OFFER ? DYING 4 HER FOR IS NOT AN OPTION. EVEN IF SHE CANT GO INTO A CLININCAL TRIAL , WHY CANT CERTAIN DRUGS BE MADE AVAILABLE ALLOW HER THE OPPPORTUNITY TO POSSIBLY SURVIVE LONGER ? IM DISCUSTED THAT JUST BECAUSE SHE MAY NOT FIT INTO A TRIAL IT JUST MIGHT HELP HER BUT DOCTORS WILL LET HER DIE . Thank you for reaching out, and we are sorry to hear of her diagnosis. If you are interested in possible treatments for pancreatic cancer —including clinical trials — and would like a consultation with a Memorial Sloan Kettering physician, please call our Physician Referral Service at 800-525-2225 or go to http://www.mskcc.org/cancer-care/appointment. I had strange symptoms beginning in 2009 (right cheek lesion "rosacea like), swelling of my right ankle, my right index finger, dry eye, neck lymph node swelling) that various rhematologists/dermatologists tried to call SLE, sjogrens, before settlling on sarcoidosis after chest CT. No lung symptoms. July 2012 I developed a peristent low grade fever of unknown origin that lasted until October 2012. March 2013, I discovered a breast lump that was diagnosed as TNBC. FoundationOne study showed IKBKE mutation. I can't help but think all of this is related to immune system dysfunction. I developed liver mets immediately following chemo. Suggestions? Trials? Please help if you can. Connie, thank you for reaching out. We are sorry to hear about your diagnosis. While we are unable to answer specific medical questions on our blog, if you would like a consultation with a Memorial Sloan Kettering physician regarding your breast cancer and the other symptoms you experienced, please call our Physician Referral Service at 800-525-2225 or go to http://www.mskcc.org/cancer-care/appointment. Thanks for your comment. can I fax the report to an oncologist for a follow up recommendation ? Dear Robyn, please call our Physician Referral Service to discuss this further. The staff there can answer help answer your questions. Their number is 800 525 2225. Thanks for reaching out to us. I just want to let you all know that the information about tumors and cancer in this section has been very informative. I also read about a wonderful mushroom named Ganoderma Lucidum that has properties, which inhibit tumor cells from grouping. Do you have further information about it and how effective is it? We are sorry to hear about your diagnosis. For comprehensive information about Paget Disease of the Breast, please visit the National Cancer Institute’s website at http://www.cancer.gov/types/breast/paget-breast-fact-sheet. We wish you well as you prepare for your upcoming surgery. Thank you for reaching out to us. Susan, if your son-in-law would like to find out about clinical trials available at MSK, he can call our Physician Referral Service at 800-525-2225 during regular business hours to discuss clinical trials or go to https://www.mskcc.org/experience/become-patient/appointment for more information on making an appointment. Thank you for your comment. I was diagnosedwith prostate cancer. I under went surgery, radiation and hormone therapy. My psa has elevated to 6.21. My urogolist's next option for me is immunotherapy(Provenge} what are your thoughts on this? Unfortunately, we are not able to provide advice on individual treatments via our blog. If you’d like to make an appointment for a consultation with an MSK doctor, you can call 800-525-2225 or go to https://www.mskcc.org/experience/become-patient/appointment for more information. Thank you for your comment. My sister has been diagnosed with acute myeloid leukemia in Dec. 2014. Was able to be in remission for less than two months. Second round of chemo did not work. She has been fighting very hard but is now losing the battle and will be placed in a palliative care hospital. Just came across literature about the DOT1 inhibitor and AG-221 pill. Can these be helpful this late in her case? Please help. Antonella, MSK does have a clinical trial evaluating AG-221 in patients with AML. You can learn more about it here: https://www.mskcc.org/cancer-care/clinical-trials/13-154 If your sister would like more information, please call our Physician Referral Service at 800-525-2225 or go to https://www.mskcc.org/experience/become-patient/appointment for more information on making an appointment. Thank you for your comment. I have been diagnosed with triple negative breast cancer. I am weary of chemo, would i be eligible for the immunotherapy through a clinical trial? If you would like to make an appointment with one of our specialists to discuss whether you would be a candidate for any of these or other treatment options, please call our Physician Referral Service at 800-525-2225. Thank you for reaching out. My husband was diagnosed with squamos tongue cancer October 2014 and had 36 days of radiation. His tongue is completely cleared of cancer, unfortunately, they have now have found a "aggressive" form of cancer on the back of throat. Since they can no longer do more radiation, they have now a biopsy of Oct 22nd. There was a chance of cyber knife but is was decided that the tumor is too large for this. Chemo would be have a lot of disadvantages because he has hep c which is under control. Liver test have been satisfactory. The dr who did the biopsy on the 22nd says he probably has 4 to 5 months to live. I would do anything in the world for a chance to see if there is some hope. We are going to our onc, Dr Samuel Tolman on Monday the 26th for check up. I know he will say "keep him comfortable". His surg who did the biopsy, Dr Sniezek, will see him on Friday the 30th. I want to see if any other option is there. The trip from Seattle to New York is long and I understand it is about 5 hrs but do you think anything is possible. Everyone is praying for us but I hope you might offer a glimmer of hope. I will call the phone number on Monday and ask if the doctor would be able to fax the chart if that is what is requested. Thank you for any hope at all. Susan, if your husband would like to make an appointment at MSK, you can call 800-525-2225 or go to https://www.mskcc.org/experience/become-patient/appointment for more information on making an appointment. Thank you for your comment. Mack, if you would like to make an appointment at MSK you can call 800-525-2225 or go to https://www.mskcc.org/experience/become-patient/appointment for more information. Thank you for your comment. I know of someone with grade 3a, stage 4 adenocarcinoma of the lung, non-smoker's lung cancer. after 6 courses of chemotherapy there was no change in the size of the growth in the lungs and liver. will you recommend nivolumab, the new drug? How long should one be on this therapy?can this drug be bought in usa and brought outside usa ? This is something your friend should discuss with her or his healthcare team. Thank you for your comment. My son has a spinal cord tumor diagnosed as an astrocytoma grade 4. He s currently being treated with Temadore and Avastin. Is there any doctor or hospital doing research on spinal cord astrocytomas? MSK does not currently have any trials for astrocytoma, but we do have experience in treating this disease. If your son would like to make an appointment, you or he can call 800-525-2225 or go to https://www.mskcc.org/experience/become-patient/appointment for more information on making an appointment. You might also want to go to www.clinicaltrials.gov, a database maintained by the National Institutes of Health that features clinical trials all over the US and the world for a number of diseases. Thank you for your comment. Roscoe, if your wife would like to find out what clinical trials may be available to hear at MSK, you can call 800-525-2225 or go to https://www.mskcc.org/experience/become-patient/appointment for more information on making an appointment. You may also want to look at www.clinicaltrials.gov, a database maintained by the National Institutes of Health that includes clinical trials for a number of different diseases at hospitals all over the US and the world. Thank you for your comment. My husband has metastatic castration resistant prostate cancer and is interested in your clinical trial #NCT01140373 (Car-T cell therapy). Can you tell me its status? Is it still recruiting patients? Thank you. In reply to My husband has metastatic… by Joyce L.
Dear Joyce, we are sorry to hear about your husband’s diagnosis. According to this clinicaltrials.gov listing (https://www.clinicaltrials.gov/ct2/show/NCT01140373?term=NCT01140373&ra…) the trials is still accepting patients, however the listing hasn’t been updated since October and the status of the trial may have changed. We recommend that you call our Physician Referral Service to get more updated information. The staff there can also tell you if there are other trials available for which your husband may be eligible. They can be reached at 800-225-2225. Thank you for reaching out to us. My father has been diagnosed with stage 4 lung cancer small cell which has metastasized to the bone, liver and has reappeared back into the lung. He had 8 months clear CT scans but the 3rd scan has shown what I mention above. Oncologist has suggested hospice and/or Nivolumb. He is now on his 2nd treatment of Nivolumb but his oncologist says due to his poor kidney function can not allow for anymore chemo. Does SLoan Ketterring offer any clinical trials that my father can be accepted into? Oncologist says the Nivolumb will only offer a short life extension benefit but no cure. Thank-you. 800-525-2225 or go to http://www.mskcc.org/cancer­care/appointment. My father has been diagnosed with stage III colorectal cancer. He had a surgery to have the cancer removed and it just started the chemotherapy FOLFOX which should be 8 rounds, followed by radiation. Is this the latest of the treatments for this type of cancer? Is there a clinical trial available for him? 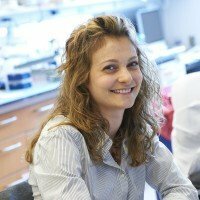 Eva, to learn more about MSK’s approach to treating colorectal cancer, you can go to https://www.mskcc.org/cancer-care/types/colorectal/treatment. If you’d like to arrange a consultation for your father at MSK, including talking to someone about current clinical trials, you can call 800-525-2225 or go to https://www.mskcc.org/experience/become-patient/appointment for more information. Thank you for your comment. Are there any trials currently recruiting for metastatic triple negative breast cancer? Unfortunately, we do not have any trials currently open for people with metastatic triple negative breast cancer. The ones we do have are for people who have stage I - III triple negative disease. However, if you are interested in seeing other clinical trials that may be applicable to you, please visit https://www.mskcc.org/cancer-care/types/breast/clinical-trials. You can also search for clinical trails open at centers across the country by going to www.clinicaltrials.gov. My brother is 66 years old. Recently he presented a pancreatic head mass for which he underwent ERCP and stenting. Tissue diagnosis revealed pancreatic adenocarcinoma. Exploration was done abroad on 1/25/16 and revealed huge pancreatic head and body mass encasing superior mesenteric vessels and crossing the midline. The surgeon's opinion was the patient was inoperable. My brother has diabetes with a history of renal transplantation done 10 years ago. Currently he is on immunosuppressive medicines "Cellcept, Neural, Hostacortin". Could you please let me know if there is any hope for an advanced treatment such as immunotherapy, or a combination of surgery and immunotherapy that can help my brother. Thank you. Dear Nigel, we are sorry to hear about your brother’s diagnosis. Many patients with pancreatic cancer have tumors that are considered inoperable at the time of diagnosis. Because surgery for pancreatic cancer is a complex procedure, surgeons at Memorial Sloan Kettering avoid recommending surgery or unnecessarily extensive procedures that will have limited benefit. To learn more about when surgery is performed for patients with patients with pancreatic cancer, go to https://www.mskcc.org/cancer-care/types/pancreatic/diagnosis-treatment-…. Other treatment options such as chemotherapy (https://www.mskcc.org/cancer-care/types/pancreatic/diagnosis-treatment-…) and radiation therapy (https://www.mskcc.org/cancer-care/types/pancreatic/diagnosis-treatment-…) may be considered for people with inoperable tumors. In addition, we offer immunotherapy for eligible patients with pancreatic cancer in the context of clinical trials. For a listing of these an other trials for people with pancreatic cancer, please visit https://www.mskcc.org/cancer-care/types/pancreatic/clinical-trials. If your brother lives abroad and would like to inquire about making an appointment with one of our specialists to discuss his treatment options (or have a review of his medical records done), please ask him to contact our International Center via email at international@mskcc.org . To learn more about our services for international patients, please visit https://www.mskcc.org/experience/become-patient/international-patients. my husband has non small cell lung cancer stage 4 is there any advance treatment such as immunotherapy, or any experimental drugs? Dear Kimberly, we are sorry to hear about your husband’s diagnosis. In 2015, the FDA approved two new immunotherapy drugs, nivolumab (Opdivo®) and pembrolizumab (Keytruda®), for the treatment of non-small cell lung cancer that has stopped responding to standard chemotherapy — in other words, as second-line therapy: https://www.mskcc.org/cancer-care/types/lung/treatment/immunotherapy. To learn more about our open clinical trials evaluating immunotherapy and other new treatments for people with this disease, please visit https://www.mskcc.org/cancer-care/types/lung/clinical-trials. If you have any questions about your husband’s eligibility for these trials or want to make an appointment to discuss his treatment options, please call our Physician Referral Service at 800-225-2225. Thank you for reaching out to us. Dean, we recommend you discuss this with your mother’s MSK team. Thank you for your comment.